I prefer “Chanukah.” The Hebrew version starts with “ch,” so the English version should reflect that. If you can’t say the “ch” sound, I explain how here. 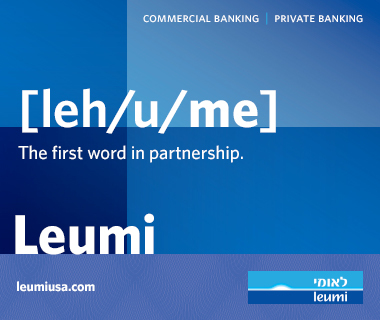 Also, since there are no double letters in the original Hebrew, why should there be in the transliteration? 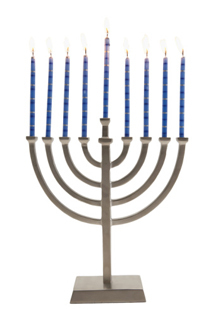 A chanukiah is a kind of menorah, the kind used on Chanukah. It has nine flame-holders— eight because the Chanukah miracle lasted eight days… plus one candle to light the others (a.k.a. the shamash). The original Menorah was in the Holy Temple; it was the one rededicated and rekindled by Judah the Maccabee and his followers. It has seven flame-holders, for the seven days of the week. We know what this Menorah might have looked like because it is engraved on The Arch of Titus in Rome. It has become a major symbol of the State of Israel, and a sculpted one stands outside the Knesset. It’s also on Israel’s national seal. Oil is more historically accurate. It’s also messier and smellier. Especially if children are involved— or even just around— stick with candles. Also, they are more colorful and some kids (and adults) like arranging the candles in patterns. So although I am sure I am going to get a lot of flack for this from actual Chicagoans, I have to come down on the side of “latkah.” For what it’s worth, I have the great Jewish philosopher Andy Kaufman on my side. 5) Sour cream or applesauce? When I was a kid, I ate my latkes with ketchup. Now, now… a latke is basically a flat French fry. My sister ate her latkes with mayonnaise, the way the Belgians and Dutch eat French fries. And I never ordered it, but a restaurant in my hometown offered a corned beef sandwich… with latkes as the “bread.” I think it came with a side order of defibrillator. The other way is to look at the top itself. If the last letter is a “ shin ,” it’s a dreidel. That letter stands for “shum,” Hebrew for “there,” making the whole dreidel read “A great miracle happened there”… in Israel, not here. But the Israeli version reflects the fact that the miracle did in fact happen in Israel. So the sentence represented is “A great miracle happened here.” The Hebrew word for “here” is “poh,” the initial of which is a pey. If it has a pey, I’d call it a sivivon. The Hasmoneans were a prominent family at the time. Matisyahu (the original one, not the rapper)— a.k.a. Mattathias— was the patriarch, and his open defiance of religious intolerance started the revolt. Judah was one of his sons; his nickname was “Maccabee,” meaning “Hammer” (the original one, not the rapper.) Around him, Judah gathered his fellow Hasmonean brothers, and they called their guerilla army The Maccabees after their leader. But (to oversimplify) that territory was then part of the larger Greek empire. The Greeks were running things, and their goal was to Hellenize the hell out of everybody, Jews included. So yes, the attacks came from “Syria.” But the ideological fight— the “culture war” or “clash of civilizations” into today’s lingo— was between Jewish and Hellenist worldviews. Even when the Maccabees didn’t fight actual Greeks, they were fighting Greece and the paganism it pushed. Setting all differences aside… best wishes for a holiday that is both warm and happy!